How do you inspire kids who don’t show a natural love for numbers and calculations? Why, with math art books of course! When art and math collide the results are mesmerizing and addicting, and these math art books will get your kids hooked. STEAM learning (Science, Technology, Engineering, Art and design, and Math) may seem like a trendy topic these days, but creating art with mathematical properties is as old as time. Still, when I mention our love of math art projects, many lay people (and I include myself in that group) ask me what that means, and could I give examples, please? I could go on and on about tessellations, spirolaterals and parabolic curves, but I figure a list of math art books might be in order. After reading the books on this list you are not only going to be throughly familiar with the concept, but you will want to champion the mathematical artistic goodness with me. 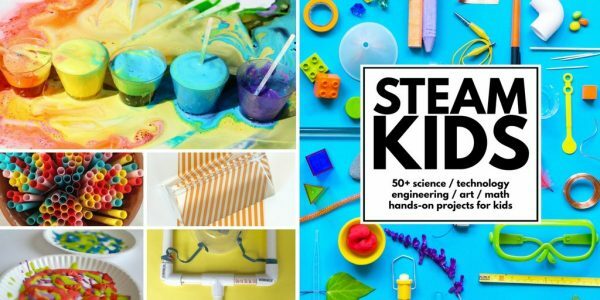 After you get through this list, be sure to continue your cross-disciplinary discovery with some of the best STEM books for kids of all ages. These activity books include projects to do at home or in the classroom. This is Not a Math Book. How do I love this book? Let me count the ways. Inside the pages, kids are invited to draw and explore cool and creative mathematical principles. They draw things in perspective, fool around with illusions and puzzles, create mesmerizing spirals and tessellations. There is plenty of blank paper and graph paper in the back for kids to experiment on their own. I highly recommend this book! Note: the book is less expensive if you purchase it here. Amazing Math Projects You Can Build Yourself. If you want to include engineering into your math art mix, this is the book for you. I love the 3D building shapes, especially the geodesic dome. There are templates to explore cool topology projects. The text also includes a lot of information about the mathematical concepts in everyday life to ensure kids never look at snowflakes, bridges or patterns the same way again! Math Arts: Exploring Math Through Art for 3 to 6 Year Olds by MaryAnn Kohl. 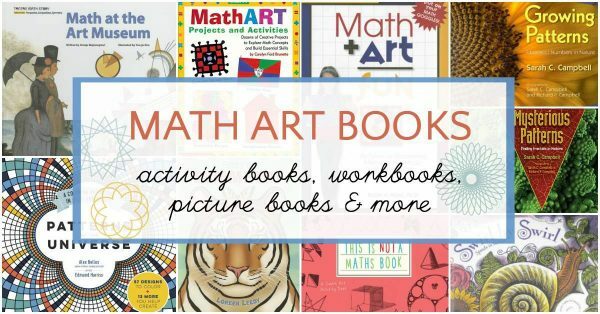 Most of the math art activity books on this list are aimed at kids in the upper elementary grades. But Kohl’s book lets you start early. Explore patterns, make numbers, play with shapes and prepare your kids for a lifetime appreciation of the STEAM subjects. 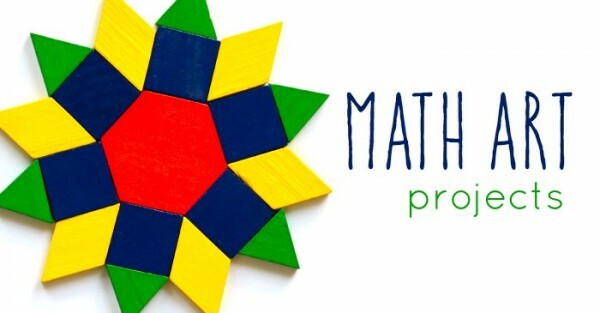 MathART Projects and Activities. The ideas in this book focus more on making art with simple math concepts, such as using geometry to create flags, making quilt patterns, exploring symmetry and fractions. Since the math concepts are not advanced, even though it is recommended for grades 3-5, a lot of the projects can easily be adapted for younger kids. Cool Art with Math and Science by Anders Hanson. This is a series of hands-on math art books, which, to be honest, I think are overpriced. However, the projects in each of them are fantastic, so see if your library has them because they are worth checking out. The series includes flexagons, string art, tessellations and structures. P.S. You can see our tessellations project, perfect for beginners. Math + Art = Fun. This has a lot of projects you would expect to see, like tessellations, spirals and graphing. There are also 3D activities and seasonal art projects. I liked the symmetry pop-up cards. It is written in lesson plan form and is aimed at teachers. I suffer from a severe case of “I can’t get my act together” disease and one of the best medicines for this is a complete kit. I figure it’s not a rare disease and many of you will appreciate a good math art activity pack, too. Geometric Origami Mini Kit: Folded Paper Fun for Kids & Adults! I absolutely adore the projects in this kit! Want to make a hedgehog dado or a stellated octahedron? (Or want to know that those are?) This is the kit for you. Ultimate Origami Beginners Kit. Most everyone is familiar with origami, but they don’t think about the fact that the paper folding technique is actually a form of math art. I like this kit for beginners because it also includes a DVD. As an origami novice myself, sometimes the photos just aren’t enough. P.S. Did you see our origami ninja transforming stars? I even made a video! Klutz Book of Paper Airplanes was the basis of our experience with the perfect STEM play date (<–click there to see the fun in action). We’ve tried several paper airplane tutorials, but this was the absolute best. 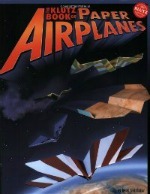 The paper is good quality, the instructions are clear and there are great extensions and ideas for exploring the engineering of paper airplanes. MoMA Modern Shapes Lacing Cards. Why not introduce the artistic mathematical beauty of shapes to kids working on their fine motor skills? I love the color and design of these cards. Plus they are from Chronicle Books, one of my favorite publishes of book-related activity kits. Math Art at the Museum. A family decides to visit a museum where they gaze upon masterpieces and learn their hidden mathematical secrets. Numerous famous artworks are highlighted and there are even hands-on activities kids can explore after reading. Be sure to visit your local museum, too! Growing Patterns: Fibonacci Numbers in Nature by Sarah C. Campbell. You can’t beat beautiful nature photos and mathematics. This book has examples of Fibonacci patterns and the “golden ratio” in nature. Absolutely gorgeous. While Swirl by Swirl: Spirals in Nature by Joyce Sidman, is a gorgeously illustrated and poetic introduction to the world of mathematical spirals in nature. Short, charming poems identify both common and mysterious spirals in the natural world, drawing kids into the lyrical text. Be sure to go out for a nature walk afterwards. Mysterious Patterns: Finding Fractals in Nature by Sarah C. Campbell. The photos are gorgeous and a great choice for kids who may really love biology and nature but aren’t sure how math plays into that. There is information about Benoit Mandelbrot, the man who gave fractals their name, as well as an activity to make your own fractal. I recommend this book for all ages, even adults. Color Zoo Board Book. Lois Ehlert’s signature bold, graphic style is on display with this clever die-cut shape book. As each page is turned a new layer reveals a different animal. On the reverse of each page, the shape is labeled so young kids can compare which shapes are used to make each creature. Grandfather Tang’s Storyby Ann Tompert. Tangrams are a wonderful hands on way for kids to explore geometry. In this story about two shape-shifting fox fairies, kids see tangrams in action and will be motivated to create their own pictures with the traditional puzzle shapes. Seeing Symmetry by Loreen Leedy is a lovely look at the symmetry all around us, from animals to words to patterns on fabrics, and more. Kids are introduced to the concepts of horizontal, vertical and even rotational symmetry. End notes explain the concept further, as well as give activity suggestions. Math Line Designs from Around the World by Cindi Mitchell. This is a workbook series that comes in leveled books for different grades. It’s not simply a coloring book; kids practice their math skills and integrate them into creating designs. Coordinate Graphing: Creating Geometry Quilts, Grades 4 and up. I don’t like these as much as the other books on this list because I find the connection between math and art to be forced. However, if you need to practice graphing, you might as well do it in a cool way. Again, you will be able to find different leveled books for creating pictures through graphing exercises. Patterns of the Universe Coloring Books. The patterns in this book will inspire kids to think about how mathematical patterns can make infinite artistic designs. I wouldn’t recommend a coloring book as a substitution for hands-on math art projects or the other math art books on this list, but as a supplement, it is gorgeous. Cross disciplinary learning is the best and you will find a couple of math art projects, plus more in a book I co-wrote! Disclaimer: I am not a math teacher, nor am I an art teacher. I am a parent who loves art with two boys who love mathematics. Together we like figuring out how we can use mathematic principles to create groovy art. I love your website. I refer my homeschool friends to it, especially. I am excited to read Math at the Art Museum with my kids. I love combining two subjects at once. We’ve read Seeing Symmetry as your recommendation. We liked that one too! Thanks for sharing our resources! I’m an avid library user, but I would like to buy one off of this list. If you could only choose one to recommend , what would it be. You might enjoy Math-terpieces by Greg Tang. Thanks for this great list…most of these were new to me. Then you would flip it where it would be like a mirror image.